So with a sentimental close, we put a wrap on the year on Saturday. Our Holiday Party on Sunday was awesome. Thanks to all who attended, and we look forward to making it even bigger and badder next year. The product: 1) The Pain au Levain was very strong. Good flavor, moisture content, generous soft crumb. Hydration (water to flour ratio) was a little high. Next time I would back it down from 76% to 70%. 2) I miscalculated the number of ginger cookies I needed to make (I made 300 when we really needed 500) so almost all the cookies went out on deliveries rather than to the stand. To fill in, AR, AJ and I made a quick batch of 40 buttermilk biscuits and 40 chocolate chip scones. The ginger cookies themselves (the 300 that we did make) came out delicious, and justified the time intensity of peeling, mincing, grating, and candying the ginger. If I did them again, I would use even more candied ginger, I would candy the ginger a little harder, and I would reduce the cookies' bake time to twelve minutes at 350 (we pulled them at thirteen minutes). You can find individual sized bags of the cookies sold for a limited time at Reliable Cheese. The crew: Big up to AR, AJ, RML, SZ, and RG. You guys, your style, as it's been said, is "unbreakable", "shatterproof". A newbie to the forming table, AJ, aka Aaron Jones, runs Levain Micro-bakery out of the West End. If you see him biking around your neighborhood any given Saturday with baskets full of bread, give him a shout (or a honk). 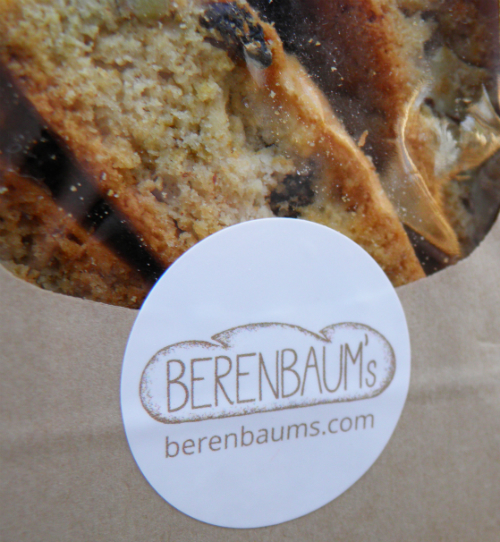 Customer Reviews: As expected, the Sweet Poppyseed Babka from last weekend let rain a torrent of praise. I feel that everyone liked it, but the people that really like poppyseeds went crazy. 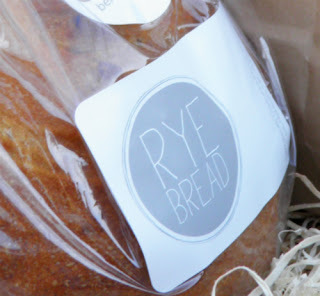 Our friend KG said that it was "the best bread that had ever touched her lips." George from Lil' Farm also said it was his favorite bread of ours as yet. Thanks guys, the support means a lot. We look forward to perfecting the recipe in 2012. Our favorite customers: Nat & Harris & Madeline, Mariya plus (little) one, Karen, Ed et al., Annie & Andy & Fam, Allie and Joey, Sarah & Monica & Kristin, Adam & Lindsay, Barbara, Alex K, Katie H.
Our lucky giveaway winner, Katie H.
Holiday Schedule: We will be out of commission for two weeks (the next two markets fall on Christmas Eve and NYE). We hope everyone enjoys their Holiday. This is a great time to do some experimentation in the kitchen. I've been working on my bagels. The product: The potato bread was filled with flavor (we used roasted Yukon Gold potatoes). AR developed a 3-day starter that resulted in a delightfully tangy bread with a moist crumb. The babka was good, but the poppy filling caused problems. The simple syrup that the poppies cooked in was too hydrated, resulting in a sticky bottom of the bread that clung the to the pan and turned into "babka brittle" (which was not bad in its own right). All while the crew and I cleaned the 70 sticky loaf pans, I was thinking, "This is the price of glory;" meaning, if you try to make one of the most fabled Jewish desserts after only two rounds of experimentation, you are bound to be humbled. The scene: We know we are hitting winter because market foot traffic is really thinning out. Time to get ready for the three month freeze until spring. The only market seller that was really busy was Fickle Creek Farm, and that was because they had freshly butchered meats (not the usual frozen). Our awesome customers: Allie H, Alex K, Atrac and Suzy, Nat & Harris & Madeline, Linda and Walter, Jessica & Michelle, Jake, Zane, Meg, Shinyiing & Adam. The crew: AR, AS, and I made it happen in the kitchen. AS, after only two sessions, is now an expert babka roller and dough handler. Big up also to RML and SZ also for holding down the stand -- once the pizza got delivered from Piepushers, the party really got going. Thanks to RG for biking out all of our community deliveries. Our weekly Facebook giveaway winner, Allie H.
Bartering: Elodie Farms (thanks Graham! ); Piedmont Biofarm (thanks Adam! ); Celebrity Dairy; Piepushers. The salami, mushroom, and kale pie we bartered for with Mike and Becca was outstanding. Double Standard? We noticed that Onlyburger parked on Foster Street near the Market where ordinarily stands, trucks, and solicitors get shooed away by the Market po-po. What's up with that? Coming up: We are gearing up to apply to enter the DFM. If you come to market next weekend and have not already signed our list of signatures asking for your support, please do so. 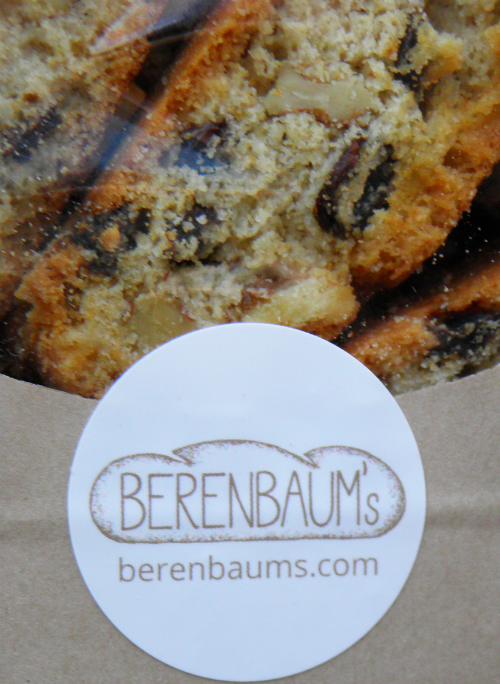 The product: The babka sold well -- we ran out by 11:15AM. The multi-grain whole wheat was so loaded with good stuff (rye flour, whole wheat, oats, cornmeal, wheat bran, honey) that it came out like a toasting bread - a volkornbrot. The scene: I was running the bike deliveries most of the morning so I missed the market (save for the 10-minute set-up period). Weather was beautiful on the bike though -- I delivered to 30 homes in Watts-Hillandale and Old West. I heard from the crew that things were busy at the market -- a four-hour market now compacted into two-hours makes for a flurry of activity. The crew: A lot of first-time customers are mystified by our business model and surprised that high-quality breads could be found at a pop-up stand on a streetcorner. One woman, who had an "are you kidding me?" reaction after tasting the babka, asked, "So are you all friends? ", indicating AR, SZ, RML, and myself, to which I (comically) replied, "Sort of." Relying on these guys throughout the year has made our team really deep. January will mark our one-year anniversary and I would like to thank our crew, volunteers, customers, and friends by holding a Berenbaum's Holiday Party. Email me at berenbaums at gmail.com for a select invite. The date is December 18th. Also, big shout-out to AS who came through the kitchen (along with AR) in the morning to help with the bread-forming -- your contributions on the discussion subjects of Ezra Pound, Wyndham Lewis, and other Modernists is both recognized and appreciated! Our giveaway winner Howard W. is a happy man, pictured here with AR. The Weekend, Part Deux: Sunday, AS and I showed up at the new JCC on Cornwallis Rd. for their Chanukah Celebration. We sold the 25 babkas I had reserved for the occasion and 12 volkornbrot. The crowd reaction was positive, although we received a lot of requests for Sweet Poppy-filled Babka. BUNS: I got word from George at BUNS that he used two dozen of our challah buns for a specialty burger: Patty, Fried Egg, Gruyere, Grilled mushrooms.